Launched in Tiger magazine in 1954, the Melchester Rovers striker’s career captured the imagination of youngsters and adults alike – and even former England manager Alf Ramsey. It is a phrase embedded in the game’s vernacular, a character from a bygone age and a team that, somehow, overcame the odds on a weekly basis. 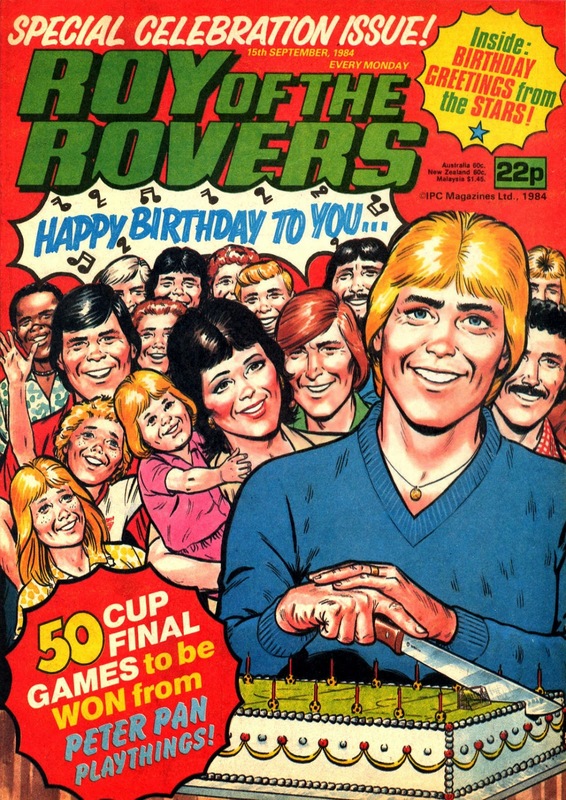 Sixty years ago Roy of the Rovers was first published as a comic strip – six decades since Roy Race’s golden locks and debonair charm first enraptured youngsters and adults alike to evoke dreams of glory and unlikely tales of sporting bravura. Say the words Roy Race and Melchester Rovers to someone of a certain generation and the eyes mist up, a reflective pause follows before a wistful smile. To many those names represent childhood, escapism and sheer joy – the weekly ritual of buying a comic, reading in rapid time before poring over the same pages again and again until the next edition hit the shelves. It was a time before the digital age, when readers wrote letters to voice their disapproval of a particular storyline or merely to ask for Roy’s autograph. It was a time when the England manager would be asked for his opinions on a fictional character and responded, sincerely. It was a time when a comic book regularly became national news. 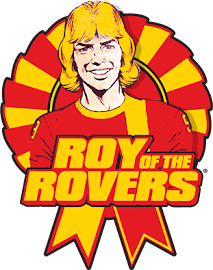 Roy of the Rovers first appeared in Tiger magazine on 11 September 1954 and during its heyday had a circulation of about 400,000. After 22 years of success it moved from Tiger in 1976 and became its own weekly publication until 1993, when sales had declined to 20,000, although the story did run on a monthly basis until 2001 in various forms. The drama never stopped. Aside from Race’s nine league titles, eight FA Cup victories, three European Cups and many international caps, there was plenty to keep readers entertained off the field. Melchester were ambushed by rebels in South America, an assassination attempt on Roy Race failed in 1981, an earthquake at Mel Park and the appointment of Geoffrey Boycott as chairman were just a few examples of the remarkable struggles at the club. There was also the time eight Melchester players were killed by terrorist activity in the Middle-East state of Basran, before the eventual demise of Race himself, the centre-forward turned player-manager’s career cruelly cut short after losing a foot in a disastrous helicopter crash. 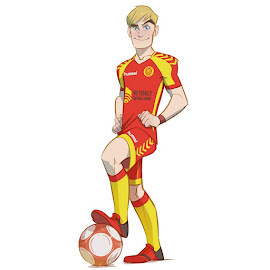 “In the early days Melchester Rovers would always do remarkably well and almost win every match that they played,” says Tomlinson, a former editor of Tiger who launched Roy of the Rovers magazine. “Then they changed it and it went much more true to life, the audience began to expect a more sophisticated storyline. Roy was the first comic book hero to get married and that had lots of support from the readers. Frank Pepper was the author of the original strip, while early stories were written alongside Bobby Charlton, who many associate with Race’s gentlemanly demeanour. Throughout the controversy that engulfed Melchester, throughout the myriad scandals, he remained the quintessential model professional, regularly emerging with his integrity intact and, quite often, with it enhanced. Yet while Race was a constant protagonist from 1954 to 1993, the cast of illustrators and writers changed significantly. Joe Colquhoun was the original artist but was followed by Paul Trevillion, Yvonne Hutton, David Sque and Michael White. Derek Birnage, an early editor of Tiger, played a key writing role before Tom Tully. It was in the 60s when the strip’s popularity accelerated. Trevillion, who illustrated the strip in a new style of comic realism between 1963-65, recalls one particular moment when he first realised how famous the story had become. However, there were storylines that readers did not always appreciate, such as the introduction to the team of Martin Kemp and Steve Norman from Spandau Ballet, or Bob Wilson and Emlyn Hughes, who many associated with TV and celebrity culture rather than football. Indeed, after the helicopter crash of 1993 it was Rocky Race, Roy’s son, who became the driving force of the strip. However, in the face of digital competition, there was to be no return to the glory days of old. Egmont UK currently holds the rights and is commemorating the strip’s 60th anniversary with a new Roy Race autobiography next month. There may be many young fans of the modern game for whom this will not even register, oblivious to a character who once was entwined in the very fabric of English football.